Professional-grade, new generation GPS system that works in both Stand-Alone Mode and Network Mode. In this mode, GPS-Trk works as traditional professional-grade GPS app. • Full functionalities packed into clean easy-to-use UI. • Reliability (several days of continuous measurement). • Scalability (very long track like around the earth). • Store all past tracks of several years on smartphone. Effectively, you never have to delete tracks to save space. • Minimal usage of battery, network data and disk storage. 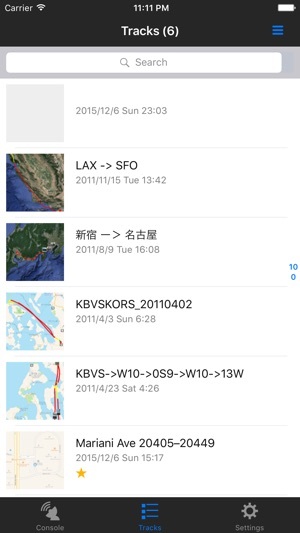 • Import / export track file in KML, KMZ, eKML, eKMZ, GPX format (with photo for KMZ, eKMZ) via email attachment, Dropbox. 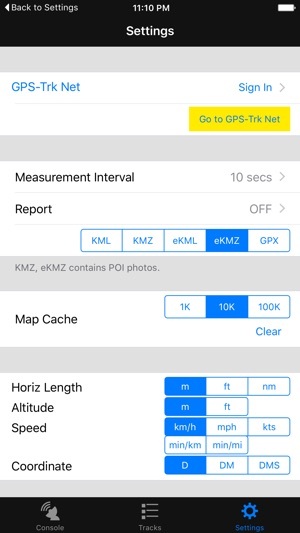 • Track measurement works even without network (Cellphone, Wi-Fi). • Track measurement by time or by distance. 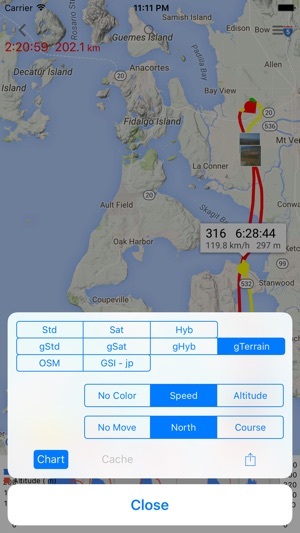 The easiest way to share your GPS track path (with photos) with friends in real-time! During adventures (climbing, biking, airplane, ship) or business (fleet management), your friends, support team can watch your movement. 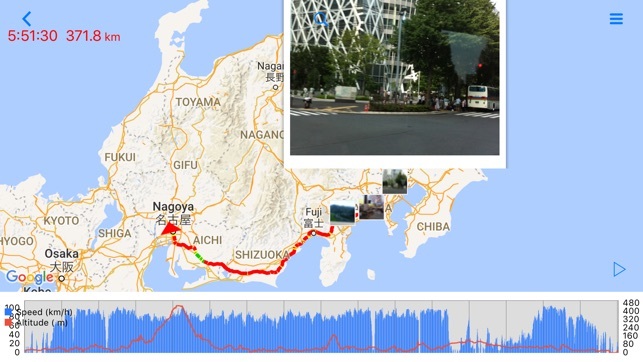 The user records track (movement, photos) with GPS-Trk app on smartphone. The other persons can watch the track moves remotely in real-time with any web browser (smartphones, PCs). Free - Friends watch your tracks. You carry smartphone and friends watch your movement with Web browsers. You put smartphone on target (scientific research, car, kid, pet etc.) and you monitor its movement with Web browsers. Track format setting bug fix.